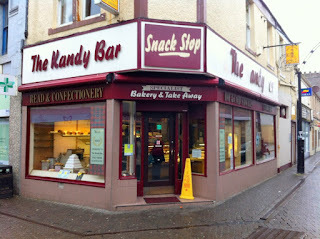 IT’S official - The Kandy Bar is the best bakery in the country. They have now become the first bakery to hold the Scottish Baker of the Year and the World Scotch Pie Championship in the same year. And owner, Stephen McAllister, was thrilled with the win, which comes after they first picked up the World Scotch Pie title back in 2014. He said: “I am absolutely delighted, shocked, stunned…WOW! To have taken the World Scotch Pie title for the second time in January and now to take the title of Scottish Baker of the Year, words cannot express how delighted I am. Savoury Category: Regional Bronze Award for their Macaroni Pie in Region. Chief Executive of Scottish Bakers Alan Clarke commented “It’s been a long journey to get to this point. Over 15,000 customers from across Scotland voted for their favourite bakery products across six categories. Judging day saw 110 bakers deliver 600 of their most popular scones, loaves, savoury items, morning rolls, individual cakes and biscuits for judging by the professionals whose job it was to decide upon the best six products in the land and just nine of the top bakers in Scotland have made it to the all-important business category.